Each week, you’ll find a round up of links that I have found funny, helpful, and inspirational, links/posts of stuff you didn’t get a chance to read. This platform also serves as a way for me to introduce you to some fantastic bloggers that have something to say! 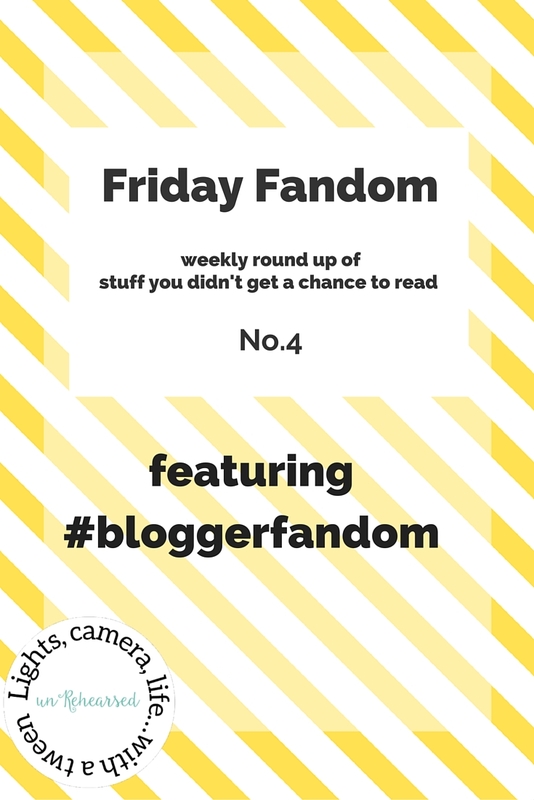 After reading, feel free to tweet about it with #bloggerfandom. Learn anything new? Did you laugh? Cry? Got pissed off? Let’s talk about it!